Open is committed to a quality approach for a better control of its services. We strive to continuously improve this approach. Open has always placed importance on structuring and industrialising its processes and services. Our Quality Management System (QMS) is the tangible result of this approach in which work processes, tools and expertise are formally detailed. have current version ISO 9001 certification. We aim to provide our clients with services of identical quality whatever the production centre and whatever the contractual arrangement chosen. An international reference for management systems, the ISO 9001 standard is a quality approach founded on continuous improvement. Open's general management testifies to its commitment to continuous improvement in its quality policy. By its capacity to maintain a QMS to current version ISO 9001 standard levels, Open's general management demonstrates its ability to align the performance of its activities with its clients' demands. With continuous improvement as a basic principle, the QMS uses the Deming Cycle, which models improvement sequencing as PDCA (Plan, Do, Check, Act) to spur dynamic change. an effective internal audit process. Our Quality department's missions are structured around both the current version of the ISO 9001 standard and making improvements to business performance. Open's general management is very attentive to all indicators, notably those regarding the quality of our services and client satisfaction. If Open clients do however feel the need to express dissatisfaction, a claims process is in place for recording the claim and monitoring the relevant corrective and/or preventative actions taken. In addition to the ISO 9001 standard, Open also works to ISO 27001, ISO 20000 and CMMI standards. a better competitive edge. Open has set up an ITIL training and certification initiative for its teams. We want to go further still by engaging our IS department in an ISO 20000-based quality approach. reduction/optimisation of IT service issues and incidents. 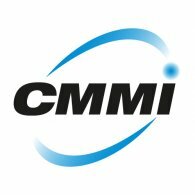 The CMMI-DEV reference serves to inspire Open's approach to defining its software application development and testing practices. It is Open's model of reference both for formalising the development process and assuring control of its project management and engineering activities. It is also a method for evaluating the capability maturity of teams in engineering and testing. ensuring quality of engineering procedures. Implemented in this way, Open is sure of optimum deployment of CMMI L2 and L3 practices in its production centres. Open also conducts maturity diagnoses for practices at its production centres, inspired by the SCAMPI-C appraisal method. Information security is becoming a major challenge for Open’s clients. We have therefore implemented an Information Security Management System (ISMS) with current version ISO 27001 certification on an initial scope, to support clients in their projects. Open's ambition is to be a reference in security for its clients and ensure the effectiveness of its information security management.